Raised in Pennsylvania, he moved to Greenwood, WI in 1856, then bought a farm about 3 miles west of Hillsboro, WI in August 1857. He enlisted in Company I, 6th Wisconsin Infantry on 10 May 1861. He was wounded again, at Laurel Hill, VA (8 May 1864) and at Five Forks, VA (1 April 1865). These wounds collectively with those at Antietam were to both hands, the left side of his face, his neck, and a leg. He mustered out of service on 5 August 1865. He returned to his farm outside of Hillsborough, where he lived until moving into a house he built in town in the summer of 1897. Basic information from State of Wisconsin1. 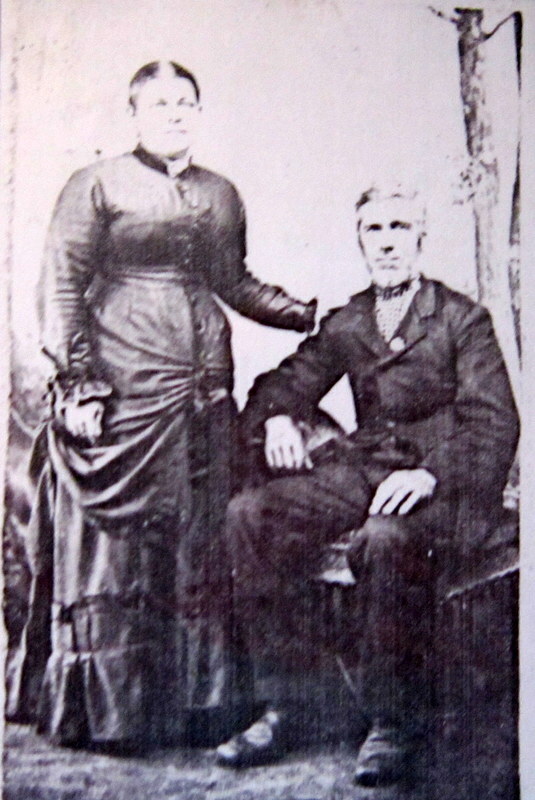 Thanks to GGGrandson Jeff - who is the 5th generation of the family to live on the farm that Nathan bought in 1857 - for the post-War photo of Nathan and his wife Louisa (Bauer), his property tax receipts for 1862 and 1863, and a copy of his obituary, source of details here. Along with his wife, Nathan left four daughters and four sons at his death.